Starting in 2021, all newly built houses will have to be nearly zero-energy buildings (nZEBs). While complying to this new regulation is not mandatory yet, many companies and individuals already build according to the strict nZEB energy standards. To do so, selecting excellent thermal insulation for the roof is key. Discover what you need to know! WHAT DOES ‘NEAR-ZERO ENERGY’ MEAN? In three years’ time, building according to nZEB regulations will become the norm for new homes in Europe. nZEBs require very little energy for heating, ventilation, cooling and hot water. Most of the energy supply they do need, they extract from green resources. An NZE home or apartment must have an E-level lower than or equal to E30, while NZE schools and offices must achieve an E-level lower than or equal to E40. To meet the requirements for an nearly zero-energy home, superb insulation is indispensable. This applies to the windows, doors and outer walls, but above all to the roof. Did you know as much as 30 percent of heating escapes through the roof? Fortunately, today there are plenty of excellent insulation solutions for both sloping and flat roofs to choose from. For the latter, SOPREMA’S PIR insulation boards are an excellent choice. For sloping roofs, you can’t go wrong with Efisarking lightweight insulation plates. Contact us today to learn more about these products. 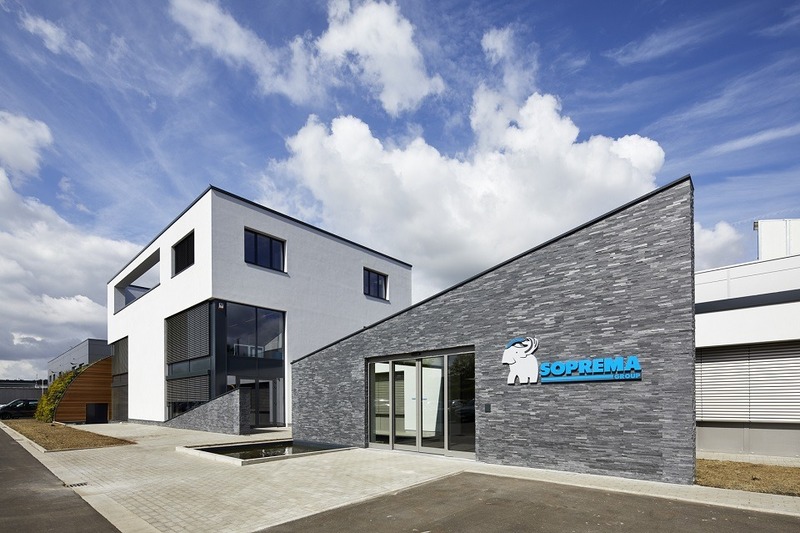 SOPREMA is fully committed to sustainability. That’s why we decided to make our new training and knowledge centre in Grobbendonk, a nearly zero-energy building. Designed by Asymmetric Architectes Associés with the help of energy consultant Geert De Bruyn, the centre meets all NZEB requirements – with the curved vertical green roof as the icing on the cake. Looking for the right thermal insulation for your next project? Our experts are happy to assist you.